Keep more of your money on your personal injury case. Attorney Bargas keeps only 30% of your recovery, compared to other firms who keep as much as 40%. Affordable, reasonable fees on all misdemeanor and felony criminal defense cases. Free consultations and payment plans available. Attorney Bargas will never charge more than a $1500 flat fee for misdemeanor DWI in Williamson or Travis County. Free consultations and payment plans available. Free consultations on your divorce, custody and child support cases. Attorney Bargas offers reasonable fees and payment plans on all cases. Attorney Bargas has hundreds of satisfied clients. Read what they've written about him. Due to his successful trial record, Bargas was contacted in 2004 by another petroleum company out of Denver, Cimarex Energy Company, to represent them in a case involving several complex oil and gas issues including royalty interests. Defending Cimarex, Bargas successfully got a minimal judgment entered against his client. The plaintiffs were demanding 1 billion dollars at the inception of the case, and after 5 long years of litigation, the trial court judge rendered only a $5 million dollar judgment against Bargas' clients--a minimal amount considering the demand. Bargas left the Watts Law Firm to work as outside counsel for Valero Energy Corporation, the largest refiner in the world. As outside counsel, Bargas handled over 500 cases for the company. From 2002-2008 Bargas worked almost exclusively as outside counsel for Valero Energy Corporation, handling and winning several large cases. Bargas was a partner in the Watts Law Firm, a major plaintiffs firm, where he handled accident and personal injury cases. Bargas represented Citgo and other major refiners in a lawsuit involving over 2,000 plaintiffs. This case was tried to a jury and was settled just prior to the jury verdict for an undisclosed amount. Bargas represented over 500 plaintiffs in lawsuits against BFI, the trash disposal company, and other major corporations for contaminating the underground water supply with toxic chemicals. The first bellwether case was tried in 1998. It resulted in a victory for the plaintiffs and was ultimately resolved in settlement. The best way to evaluate Dario's experience is to review his significant case list which you can do by clicking on that button. 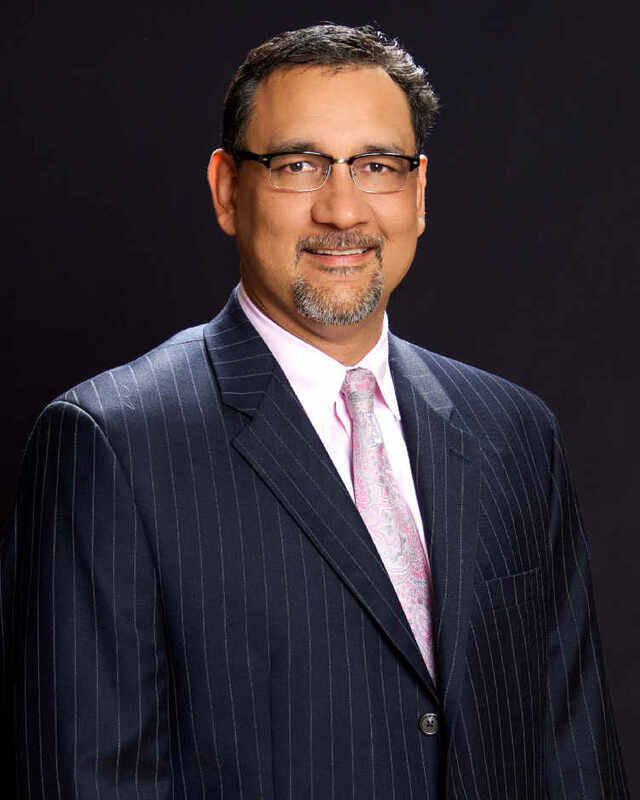 During his substantial and successful career, Dario has represented fortune 500 companies and thousands of families and individuals in a wide range of legal issues. Dario is a trial lawyer that loves challenging cases. He brings substantial experience to the courtroom having handled complex commercial cases, complex personal injury matters contentious divorces with substantial property issues, contentious custody cases, criminal cases and legal matters. Dario has tried many multi-million dollar cases to a jury, and if you require this type of experience, you should interview Dario today for your important legal matter. When searching for your attorney, you have the absolute right to ask that attorney how many cases he/she has handled in the area in which you seek counsel. Do not hire an inexperienced attorney to handle your important legal matter. Come see Dario today for your free initial consultation. Dario also offers payment plans on almost every case. Payment Plans are Always Available! Attorney Bargas has worked with hundreds of clients. Read what they have written about him. “ I wanted to express my sincere appreciation to you and your team for all of your help and support with my case. I don't know what we would have done without you. All of your efforts made it possible for me to get back on my feet and get on with our life. It is a blessing that people in such a difficult situation have people like you to turn to. I'll never forget how much you helped me and my family. I cannot wait to see what the future holds thanks to you and your amazing team. “ My ex wife testified under oath last month (June 2016) that she had paid her attorneys an unbelievable $20,000 in fees for the custody case we just finalized last week (July 2016). We were fighting over custody of my 14 yr old son. My attorney explained to her and her lawyer from the beginning that we were going to prevail and that it would benefit her to settle the case. He also explained to her that she should put the money she would spend on attorneys in a college account for my son instead. Of course, she and her attorney absolutely refused to listen. At a temporary orders hearing last summer (July 2015), my attorney got me full custody of my son, got my child support suspended, and my ex was required to pay me child support! For a year after that, she refused to settle. We just finally resolved the case last week and I no longer have to pay any child support!! Not only am I saving thousands of dollars every year by not having to pay child support, but I can put that money away for my son's college education!! If my ex and her attorney listened to my lawyer, she would have saved $20 grand in attorney fees and my son would have a very healthy college fund already!! But you know why that was never going to happen, right? And the most amazing thing is that my attorney only charged me $3,500 total for the whole thing and he even let me pay it out in payments over the course of the case which lasted almost a year! “ Three years ago I got pregnant and it just didn't work out for me and the father. From the beginning of the pregnancy and all throughout my child's young life, his dad has been a deadbeat. There were court orders in place, his dad had some supervised visits and was ordered to pay child support. However, in 2 years he has seen his son maybe 8 times, for very short periods. It was incredibly frustrating because my child would get upset every time. It was like giving him up to a complete stranger every time he chose to come visit. I'd go talk to lawyers, but all of them would tell me, "he's the dad, there's nothing you can do," or, "he's the dad, he has rights." I was determined to find an attorney who could help extricate me from this hell I was in with the father of my son!! I didn't want him visiting my son anymore; I didn't want him in my son's life at all!! I finally came in to see Mr. Bargas. Wow, and I am soooo glad I found this amazing attorney!!! From the initial consultation, he explained his strategy to me and he told me it would be a bumpy, slow, long, and expensive process, but that he would get the father's rights terminated. It has been a long and frustrating process, but I can testify that absolutely everything that Mr. Bargas predicted when I first came to see him worked precisely as he told me it would!!! “In May 2016, I made a huge mistake and signed a court order giving my ex wife custody of my young children. I was completely naive and did not hire an attorney at that time because I didn't feel like it was necessary to spend money on one. I ended up just agreeing to everything. A couple of months after that final order was entered, I realized I had made a HUGE mistake. I needed to get back into court, and I needed an excellent attorney to help me undo the order and get custody of my kids. Attorney Dario Bargas was strongly recommended to me. I was told that if anyone could get me custody of my kids, it was Bargas. At my first visit with Mr. Bargas, he was very direct and made it clear how incredibly difficult it would be to re-open the case and win custody of my children since I had voluntarily agreed to everything just a few months earlier. He explained to me that it would be like trying to put plumbing into a foundation that had already been poured and dried. However, he also told me he would fight like hell for me!! Mr. Bargas performed a miracle for me!! Without even going to court, he pounded on the other side until they caved in and gave me my kids. I'm not sure what lawyering tricks he used to get this accomplished, but in less than 6 weeks Mr. Bargas got me my children. They now live with me!!! Dario Bargas was relentless; he is an amazing lawyer. “ I'd been married to my wife for 15 years. We don't have any children but during the marriage we had accumulated a nice estate. When I knew I was finally done, I knew I had to hire an attorney that would get me what I wanted. My wife was trying to control all of the assets as a way of keeping me around. I wanted out and gone! I reviewed many attorneys online, and when I came across Mr. Bargas I knew this was the attorney I needed to hire. Although our estate is probably worth half a million, my wife was stalling and didn't want to offer me what I wanted to get out. I told Mr. Bargas exactly what I wanted and that my priority was to get out of the marriage as soon as possible. Mr. Bargas charged me only a $1,500 retainer and in less than 3 weeks he got me exactly what I wanted, to the number, not one penny less!!!! “ My 19 year old son was charged with a first degree felony, Burglary of a Habitation with Intent to Commit Other Felony, in Williamson County. I was desperate to find an excellent, experienced attorney that would fight for my son. I did not want a court appointed attorney, but I'm a single mom on a very tight budget. I had absolutely no clue where to turn and I had no idea how I was going to pay for a high-caliber attorney to help my son. When I told a good friend about my situation, she strongly recommended I call her old college friend, Attorney Dario Bargas. Mr. Bargas met with me right away. He and his associate attorneys were incredibly patient, understanding and professional. Mr. Bargas not only agreed to defend my son, but he has been incredibly patient with me and has allowed me to make monthly payments that fit my budget. I spoke with other attorneys before Mr. Bargas, and they all wanted outrageous retainers up front which I simply could not afford. “ On February 1, 2015, I was driving in San Antonio when a distracted driver rear-ended me as I was slowing down for a car turning in front of me. This accident left me with a broken clavicle that required surgery. I had to miss substantial time from work. I knew Mr. Bargas was exactly the attorney I needed for this serious case. Mr. Bargas worked hard for me from the very beginning and less than a year later he settled my case for a very satisfactory amount of money. I’m very happy with the result of my case and would highly recommend Mr. Bargas to anyone with a serious accident. You should also know that not only did Mr. Bargas get me a great result but he reduced his fee to only 29 percent of the recovery. All of the other firms I spoke to wanted 40 percent! “ I first met Mr. Bargas approx. 2 years ago when I was doing some marketing at a fundraising golf tournament. Mr. Bargas gives out his business card to absolutely everyone he meets--rich, poor, green or white. Over the following two years we ran into each other at other tournaments several times and every time he would hand me his card. He must have instinctively known that someday I would need him. And I did, I called him last week because I needed a divorce attorney. He remembered me immediately and we met and filed for divorce the very same day. Mr. Bargas took immediate charge of my case and paid all the filing fees out of his own business account since I have no money and my husband is the sole bread winner. Mr. Bargas has guaranteed me that he will recover his fees from my husband and that all of my interests will be protected. “ MY ATTORNEY JUST GOT MY FATHER'S RIGHTS TERMINATED!! AMAZING!!! A year and a half ago I walked into my attorney's office. I'd gotten pregnant and had a baby with a complete loser! I wanted this guy out of my life and out of my baby's life. The father was just causing problems with me and he was disrupting our lives! He was dropping in unannounced and visiting only when it was convenient for him. During my first visit with Dario he guaranteed me that if I did absolutely everything he asked me to do and if I followed his blueprint that we could get the father's rights terminated. From the beginning I did absolutely everything Dario asked me to do and followed his direction and instruction. Absolutely everything played out just like Dario predicted it would. It took a while, so patience was necessary but yesterday we went to court and got the dad's rights terminated.!! I cannot explain to you how tremendously happy we are!!! If you are having custody issues, or problems with the mother/father of your children, you must come see Dario. If nothing else come see him for a free consultation. You will find he is serious, intense, no-nonsense, incredibly experienced and he will tenaciously represent you in your custody case! I was referred to him by a friend, and I cannot tell you how lucky I consider myself for having found him and for having hired him in this very important matter. “ I was referred to Mr. Bargas by a work friend. Mr Bargas handled his divorce for a very reasonable fee. He strongly recommended Dario and told me he was an awesome attorney. I wanted custody of my son and Mr. Bargas immediately agreed to take the case and guaranteed me that I would win! Dario filed my case and set it very quickly. We went to court within 30 days and the hearing lasted only 3 hours. In that short time Dario got me custody of my son! My ex-wife testified in court that she had paid her attorney $6,000 up to the hearing. My best guess is she spent about $10,00 to date fighting every little thing. Mr. Bargas only charged me a $3,500 flat fee from beginning to end!!! I'm so incredibly lucky and happy that my friend suggested I go see Mr. Bargas. The judge ordered that I take my son home with me from the courthouse the date of the hearing. my son has now been with me since July 2nd, 2015 and we are all incredibly happy and excited that he has come to live with me. “I came to Bargas Law Firm in August 2011, because I was in need of legal representation for a Divorce case where my wife had taken off with our son from Texas to California without my knowing. I had a close relationship with my son, so getting him back was very important. When I first spoke to the firm about my case Mr. Bargas told me it was not going to be an easy fight and that my situation was a complicated matter that needed to be addressed strongly and immediately. Since taking the case not only has Mr. Bargas effectively represented me, but Tyler Pennington, an associate attorney at the office has made sure my serious situation is handled effectively. Tyler has been patient and successful in dealing with the complexity of my case and has handled the issues promptly while keeping me informed along the way. It feels good to know that my lawyers have my back and understand how delicate of a situation this is to me. “ When I was arrested for a DWI last year (2014/Travis County), I searched for an affordable criminal defense attorney. I looked very carefully through the internet and I came upon the ads for Bargas Law Firm. Mr. Bargas advertises that he only charges a flat fee of $1,500 for a full DWI defense. At this price of course I was skeptical, but once I met with Mr. Bargas and his staff, I knew they were legit. Mr.Bargas quoted me a flat fee of $1,500 even if he had to try my case to a jury. Due to my budget, he allowed me to pay the $1,500 in three equal installments. Once he received all of the evidence from the County Attorney, Mr. Bargas guaranteed me that they would cave and/or drop the charges. Everything happened just like he told me it would. We pushed them to try the case and they dropped my DWI charge to a much lesser offense. Mr. Bargas stuck to his promise, charged me only $1,500 and not a penny more. If you are charged with a DWI and pay another law firm more than $1,500, you are totally wasting your money. Mr. Bargas has 25 years' experience handling DWI cases. He can evaluate your case in just a few minutes. He will push the County Attorney until he gets you the very best deal possible. We were in court prepared to try the case, but they offered such a great deal I just had to take it and not risk a guilty verdict. Mr. Bargas and his team were there ready to try it if necessary. “When I got pregnant about two years ago, the biological father of my child totally dropped out of my life. An ex-boyfriend of mine completely took care of me. He stood by me during my pregnancy and was there for every doctor's visit and the birth of the baby. After all of the heavy work was done, the biological father showed up to visit. Then, he filed a paternity case asking for visitation. I panicked. I had no clue what to do. I just knew I needed a very good lawyer, but I had no idea where to search for one. I went on Craigslist and met with several lawyers that all wanted a fortune to handle my case. We wanted the biological father's rights terminated--we just wanted him gone and out of our lives. After meeting with several attorneys, I immediately knew I was going to hire Dario Bargas. He exuded complete confidence and never had a doubt that he could accomplish what we wanted. From the beginning Dario kept us abreast of everything that was going on. He explained to us his strategy, and it worked just like he said. It was just like clockwork. Also, he even gave us his personal cell phone number so that we could call or text him anytime. We knew he was working on our case, even on the weekends, because he would often text us with updates or email us. “My 5 yr. old daughter had lived with me for 3 years and had seen her mother once in those 3 years. One night in October 2009, her mother came to my door with a court order and was escorted by several police officers. They woke my daughter and took her kicking and screaming saying that the court order said I had to hand over my daughter to her mother. I was completely lost and did not know what attorney to hire. I spoke to several attorneys, but they all seemed overwhelmed and did not offer me much hope. I came across Mr. Bargas online. Once I met with him I knew he was the attorney I wanted to hire. This is a long story, but to make it short, Mr. Bargas was honest and blunt from the beginning. He assured me we would win the case and that he would get my daughter back to me. Our fight took a long time, but Mr. Bargas did everything he said he would do from day one. “ When I came to Bargas Law Firm, my ex-wife and I had a split custody arrangement that was not working out for my son. Plus, I was still paying child support, even though I had possession of my son half of the time. When I met with Dario and Jeramy, they assured me they could win me custody of my son. The courts usually favor women in custody cases, but the attorneys at Bargas Law Firm worked hard on my case, and got what was in the best interest of my son. “When I was arrested for driving while intoxicated in Corpus Christi last year, I wanted to hire the very best attorney I could find and knew who I was going to hire. Because Dario Bargas used to have an office in Corpus and had a successful history with high-profile cases, I sought him out immediately. He was the first and only attorney I spoke to. He agreed to represent me and charged me an incredibly reasonable fee: only $1,000. I could not believe I was getting such a successful attorney to represent me for only one thousand dollars on such an important case. I am in the banking business and I could not afford to have any kind of criminal record. A conviction of any kind would have cost me my job and certainly would negatively affect any background checks for future employment. From the very beginning Dario told me he was going to win my case even if he had to try it to a jury, and he assured me I would not pay a penny more even for a jury trial. The prosecutors were incredibly stubborn and would not dismiss my case. They wanted me to take a plea bargain, and I could not afford this on my record. Dario played hardball with the prosecutors and forced them to trial. Dario tried my case this week, and yesterday we got a "NOT GUILTY" from the jury in less than 5 minutes! I knew from the beginning there was only one lawyer for me, and I am so glad I was able to locate Dario and get him to handle my case. I could not believe the incredibly fair fee! Dario was awesome in the courtroom and never budged an inch even when the prosecutor was trying to bully him and intimidate him. Dario yelled right back. He stood up for me and fought for me, and his skills in the courtroom were superb. No matter what kind of case I have, I will always call Dario first, and I will always recommend all of my friends and family to talk to him first. “ I did something very stupid and was charged with a very serious felony crime in Williamson County in August of 2011. 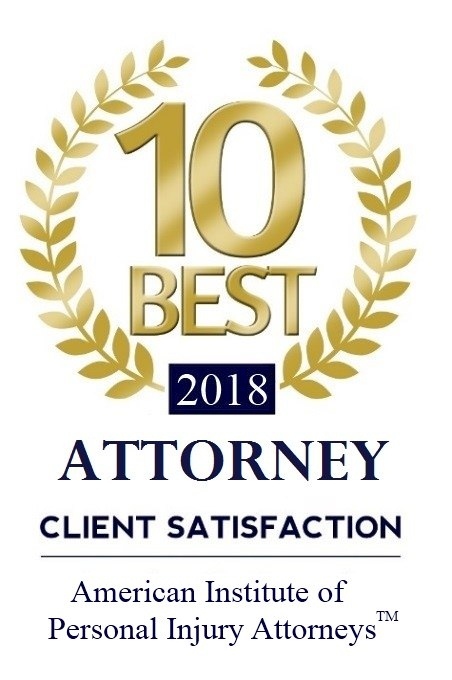 I interviewed several law firms for help and a lot of attorneys that had been in Williamson for many years because I knew I needed an excellent lawyer. Williamson County has a reputation of being an incredibly tough county for criminal prosecutions. I knew I had screwed up and wanted to find the best lawyer for the job. A friend referred me to Mr. Dario Bargas after I had already hired a Williamson County lawyer. Once my family and I met with Mr. Bargas we all knew this was the confident experienced lawyer we wanted. We came back to his office one week later, fired the other lawyer and Mr. Bargas began work on my case immediately. Mr. Bargas charged less than what all of the other attorneys wanted and he immediately took charge of my case. Mr. Bargas was a chess master and totally worked an incredible deal for me. I could not believe the terms of my plea deal. “ I work with the Sheriff's Dept. in Travis County. Obviously, my co-workers know a lot of attorneys and when I asked my friends at work who I should hire to get custody of my granddaughter, without hesitation they told me to call Dario Bargas. They said he was an excellent attorney and charged very reasonable rates. When I met with Dario he guaranteed me that he would fight extremely hard to get me custody of my granddaughter, whom I have taken care of for 2 years. He has already managed to get the case transferred from west Texas to Williamson County, which makes things so much easier for me. Traveling to west Texas would have been so stressful, time consuming and financially challenging. I feel so fortunate I found Bargas Law Firm to assist me with this incredibly important case. It is definitely best for my granddaughter to continue to live with me because I can provide a stable home for her where she can continue to thrive. I was lucky enough to work with people who deal with attorneys all of the time and know the good ones and the bad. I'm not sure how an average person who doesn't know any attorneys goes about finding a good one, but believe me, I cannot recommend the team at Bargas Law Firm more highly. I felt so strongly about Bargas Law Firm that I hired them to handle another personal matter for me. I've had the pleasure of working with several of Dario's associate attorneys. Jose, Jeramy and Chris have been incredibly professional and attentive. “ About 20 years ago, I entered into a handshake contract to buy a very good piece of property here in Austin, right on I-35. I made regular payments according to the handshake contract, that's the way we used to do things back then-on a handshake. The couple I made the deal with died several years ago, and now my deal was with their heirs. I stood to lose my interest in this valuable piece of property, because I really had no written contract. A good friend of mine recommended I see Dario about my delicate, important, and messy situation. My friend plays golf with Dario, and told me that Dario was trustworthy, smart, and dedicated. Also, that Dario used to represent some very large companies and clients. My friend took me to see Dario. In less than 3 months, Dario got me a complete clean and unencumbered title to the property. I paid about $40,000 for the property, which is now worth $500,000. So Dario basically saved me or made me $460,000. Dario did an incredible job on my case, and always kept me informed--every step of the way. I could not give a stronger recommendation for you to see Dario, if you have any kind of legal matter. Best thing is, not only did Dario do an awesome job, he told me he would not even charge me unless he could get me title to the property. And what he has charged me is nothing compared to the amount of work he did and the value of the property. He has a team of excellent young lawyers working at his firm. Now Dario is working hard to re-negotiate the lease amounts on a billboard that is on that same property he got me. Dario is certain I will have a good monthly income from this sign from now on. “I suffered a serious car accident and injured my back and knee. I tried dealing with the other driver's insurance but they offered me so little that I could not even pay my medical bills. Free Initial Consultation available via video google chat. Call 512-785-5955 to schedule. Have any questions? Send me a message. I will get back to you in 24 hours.